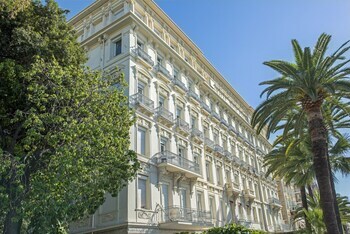 Wander through the medieval rabbit warren of the old town, stroll along the famous seafront "Promenade" and see the fin-de-siecle residences that made Nice one of Europe's most fashionable winter retreats. 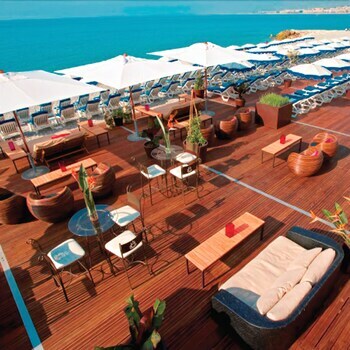 Nearby Cannes is probably the most glamorous spot on the Cote d' Azur. Popular for its film festival and casinos, the beautiful bay, sandy beaches and pretty port are also great attractions. Nice's international airport is about 6km west of the city centre and over 40 national and international airlines fly in and out of Nice, with services to Paris very frequent. Regular buses shuttle between the airport and city. There are also fast trains running all along the coast from St-Raphael to Ventimiglia including stops at: Antibes, Cannes, Menton, Monaco and St-Raphael and an infrequent TGV (high-speed train) service to Paris. The bus from Nice to Cannes is very slow, so your better option is 40 minutes on the train. Cannes is on the high-speed TGV rail network and there are direct services to Paris, Nice and Marseille. Cannes is also very compact and easy to get around by foot. More about getting around Nice. The city of Nice is known as 'Nice la Belle' which translates to Nice the Beautiful. This is also the title of a song considered the unofficial anthem of Nice. The city has inspired the works of many famous artisans including Toulouse Lautrec, Renoir, Picasso, Matisse, Nietzsche and Tolstoi. Although Nice is known for its beaches, most are rocky rather than sandy. One of Nice's most popular attractions, the Promenade des Anglais (meaning Walkway of the English), was named during the mid-19th century after the wealthy and aristocratic English tourists who used to want to see and be seen in all their finery. Renowned for its film festival, Cannes is also a city of glitz and glamour home to a harbour overflowing with expensive yachts.